Down in the depths of the Rotten Vale, hunters will be tested by deadly monsters and dangerous environments. This monster graveyard is inhabited by particularly aggressive enemies, and has toxic fumes that fill the bottom of most areas. Here, hunters will find Odogaron. This hunt is unlike any that players will have faced previously, and can feel overwhelming when first confronted. 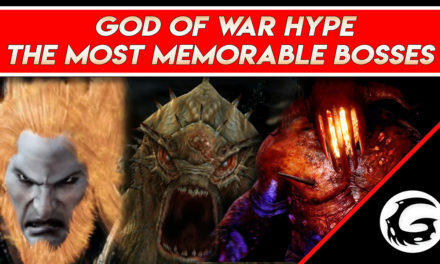 Let’s take an in-depth look at this aggressive beast and the best ways to go about this encounter. The Rotten Vale is a graveyard for monsters of all kinds that come there when they are close to death. Hunters can find the corpses of Tzi-Tzi-Yakus and Legianas throughout the area that have fallen from the Coral Highlands above. Not only is this place covered in overly aggressive enemies, the environment itself is constantly trying to take down the hunter. Spread throughout the lower layers of the Rotten Vale is a deadly gas known as Effluvia. While in affected areas, the hunter will slowly take damage over time. If the effect stacks up enough on the hunter, it will permanently cut the hunters health bar in half. Using a nulberry will return the hunters health bar to full but cost potions to regain full health. There are two ways to deal with the Effluvia gas. 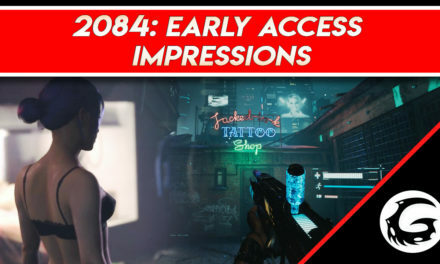 The first is to grab slinger torch ammo from around the map. When fired at the ground, this ammo type will burn away the gas in a bubble around where it lands, making the area safe for a short amount of time. 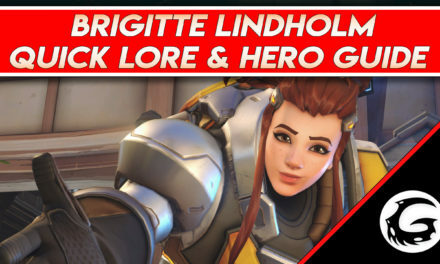 The second strategy is using the Effluvia Expert skill, activated with charms or certain armor sets. 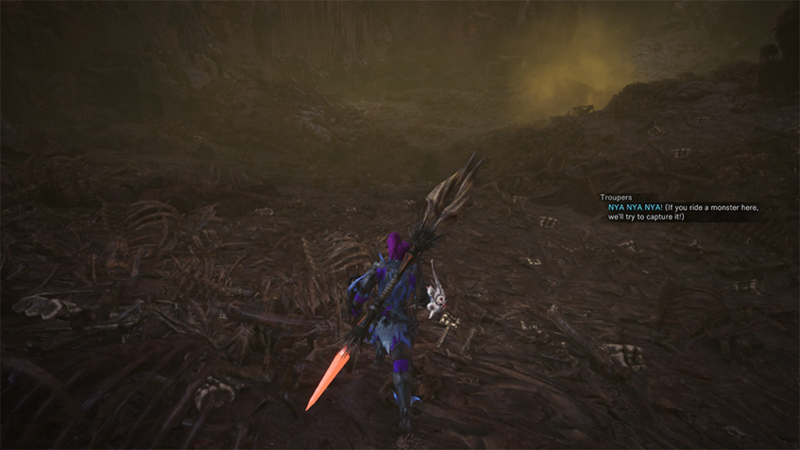 Both the Great Girros and the Hornetaur armor sets have this active skill, and both monsters needed to farm this equipment are found in the Rotten Vale. Finding a way to deal with Effluvia is necessary before going into the fight with Dragon, especially for hunters with lower level equipment. The first thing to know about Odogaron is that once it begins its assault, it does not slow down. The monster is very agile and will jump around its target and use its environment to climb and attack from above. Odogaron’s attacks are quick, but they do all have one thing in common to watch for. The monster will usually pull backward to wind up in some way before attacking, giving a brief moment for hunters to dodge out of the way. First, watch for Odogaron to pull its left or right front leg up in the air, pulling it back behind its head. The monster will swing forward, slashing with its layers of front talons, then repeat this motion with the other leg immediately after. Get out of the way by dodging to the left or right of the monster, toward its tail, to avoid damage. Next, watch for Odogaron to stand up on its hind legs. The monster will lurch forward slightly, slashing directly in front of it with its front claws. Get out from underneath the monster and attack by dodging to the left or right at an angle, away from the monster’s stomach. Odogaron also has a massive bite attack. It will pull its head back like a snake ready to strike, then lunge forward, biting at its target twice. This attack covers some big distance in front of the monster, so get out of the way by dodging twice to the left or right of the monster, away from its body. As with most monsters, Odogaron has a tail swipe. It will pull its tail back and swipe in an ark to the left and right. Try to stick to the monster’s hind legs while it sweeps its tail. This attack does not hit as hard as most, but, due to the length of its tail, has a pretty significant range. Its second tail attack is a bit trickier. 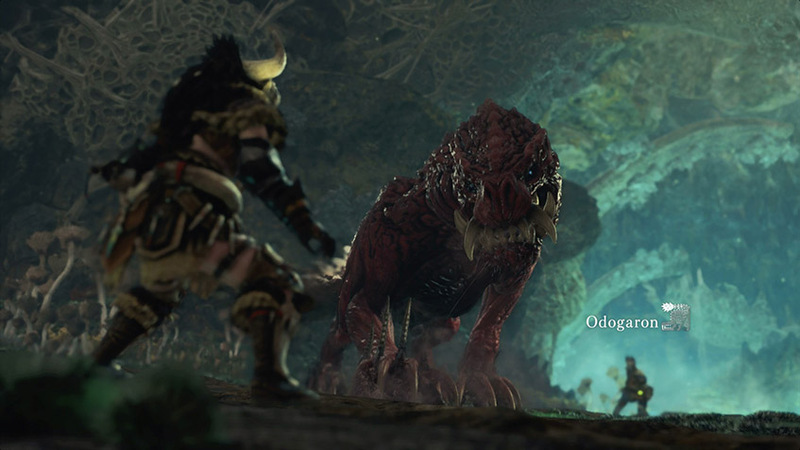 Odogaron will pounce forward a few feet, spin around in a circle, and then pounce away from its target, sweeping its tail in a full 360 circle by the end of the attack. When the monster pounces, immediately dodge backward, out of the way. This will put just enough distance away from Odogaron to avoid the combo. Lastly, the monster will use its environment to attack. Odogaron will jump up high onto the side of any wall near it, then push off the wall in a slamming tackle at its target. Dodge to the left, right, or directly toward the monster to avoid the damage area all together. Odogaron will attack constantly, so finding his patterns can be complicated and overwhelming. But there is a trick to always remember during this battle: Odogaron always attacks in a straight line directly in front of it. If caught off guard by an attack or combo, remember that the attack will be aimed in front of the monster, and to dodge out of the way of that area to adjust on-the-fly. 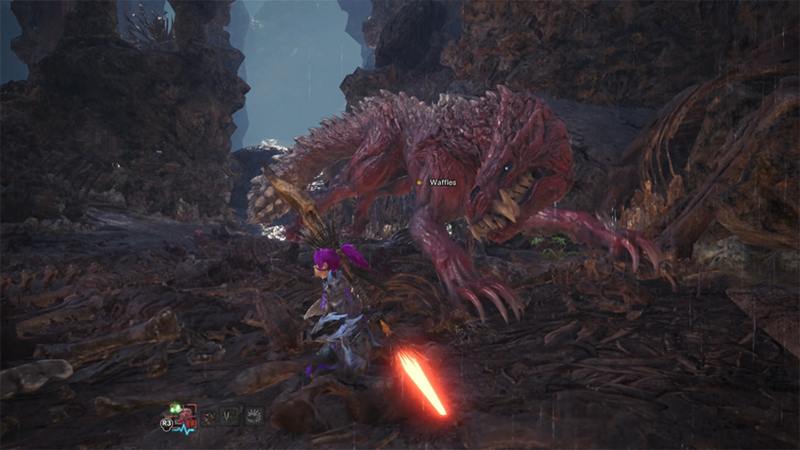 When hit by attacks from Odogaron’s front claws, it can inflict bleed on the hunter. While bleeding, the hunter will take a significant hit to health and take damage any time the hunter moves. This can be devastating due to the aggressive nature of the monster and constant need to dodge. When inflicted, immediately slam a health potion and disengage the monster to find somewhere to hide. To cure bleeding, the hunter must crouch down and stay still for a few seconds. Once it is gone, the health bar will stop glowing purple, and the hunter can resume the fight. The last—and most important—thing about fighting Odogaron is also the most counter-intuitive: be aggressive and stay close to the monster. 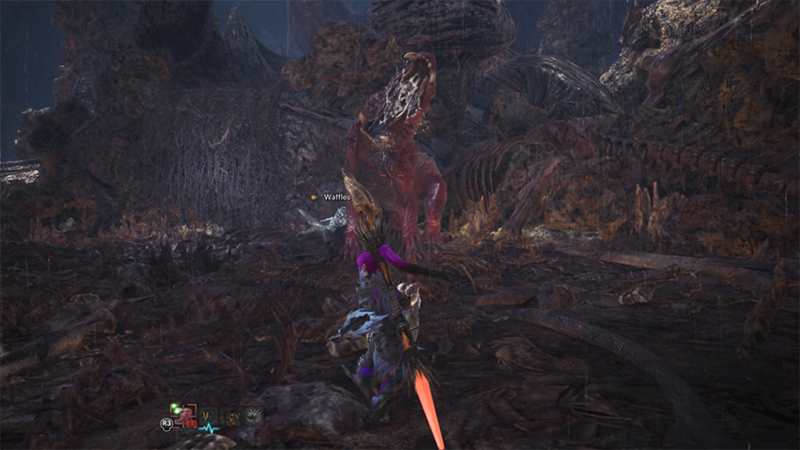 The hunter needs to throw out everything they have learned about hunting up to this point and stay right next to Odogaron to attack constantly. While this monster has devastating attacks that seem logical to avoid by gaining distance, the opposite is true. Almost all of Odogaron’s attacks hit in front of the monster at a short to large distance. Hugging the monster and staying close to its mid-chest to hind legs area will allow the hunter to avoid the majority of damage and be able to consistently land damage to wear down the monster. The monster hits hard, but does not have much health, and very little natural armor. 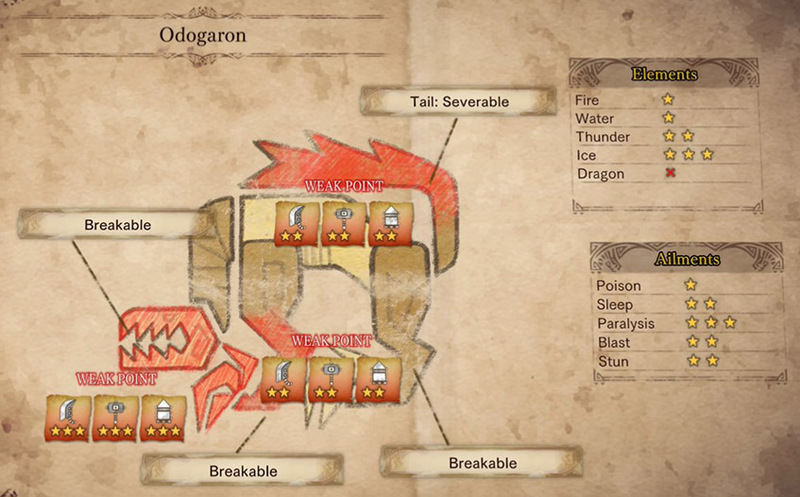 Odogaron has three major weak areas on its body. Its head and front legs, which are both breakable, and its tail, which can be severed. The monster is very weak to the ice element and is vulnerable to the paralysis ailment. Having some shock traps on hand can be very useful to stop this monster in its tracks for a few seconds. Odogaron does not take much damage from the poison ailment, and is completely resistant to dragon elemental damage. As previously mentioned, the monster does not have a ton of natural armor, so wearing it down with high-sharpness weapons will put the hunter at a big advantage. Odogaron is by far one of the most aggressive monsters hunters will face in Monster Hunter World. This fight is overwhelming, and difficult to learn how to time at first. It can be frustrating to new and veteran hunters alike. However, learning this fight and farming this monster is highly rewarding. Once a hunter is confident in this battle and can take down Odogaron quickly, there is nothing in the game that the hunter cannot take on. 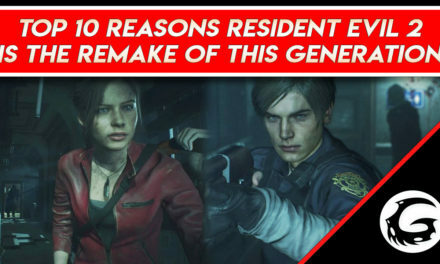 Hopefully these tips and tricks will help hunters take down this beast quickly.